The management of PREMIUM TIMES on Sunday said the Nigerian Police did not pressure its reporter, Samuel Ogundipe, to implicate the President of the Senate, Bukola Saraki, during his detention. The newspaper also said in a statement by its Editor-in-Chief, Musikilu Mojeed, that its reporter was never tortured while in detention. The medium was reacting to claims on social media quoting its reporter as saying he was pressured by police investigators to, as condition for his release, name Mr. Saraki as the source who leaked a police report to him. The fake report also quoted Mr. Ogundipe as saying he was tortured. But despite Mr. Ogundipe’s rebuttal, the police believed the false narrative and went ahead to widely circulate a press statement reacting to the fake news. 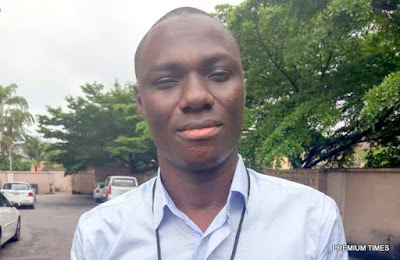 In a statement on Sunday, PREMIUM TIMES described the police as the latest victim of the growing fake news syndrome, saying its reporter never made the claim attributed to him. “By issuing a statement to respond to a false narrative, the police became one of the latest victims of the fake news syndrome,” Mr. Mojeed said. “The truth is at no time during the interrogation of our reporter did police investigators pressure him to implicate anyone. All they wanted to know were the sources for his stories. “The police also did not physically torture Mr. Ogundipe during his three-day ordeal in detention. “Although we remain committed to fighting the latest onslaught on our reporters to a logical conclusion, we will do so with facts, decency and social responsibility. But we are now left to issue this rejoinder after the police swallowed the false narrative and thereafter widely circulated a statement reacting to it. PREMIUM TIMES did not publish the police’s reaction to the fake news, but some bloggers did here.